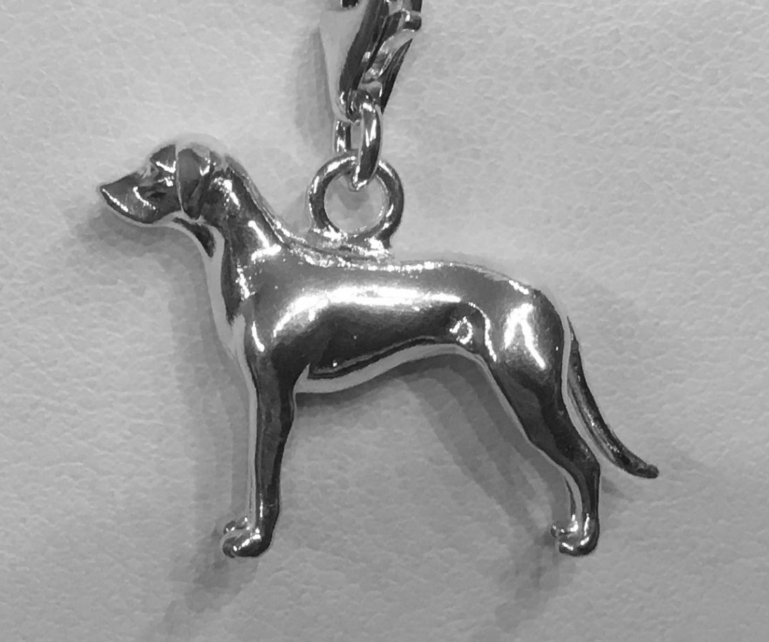 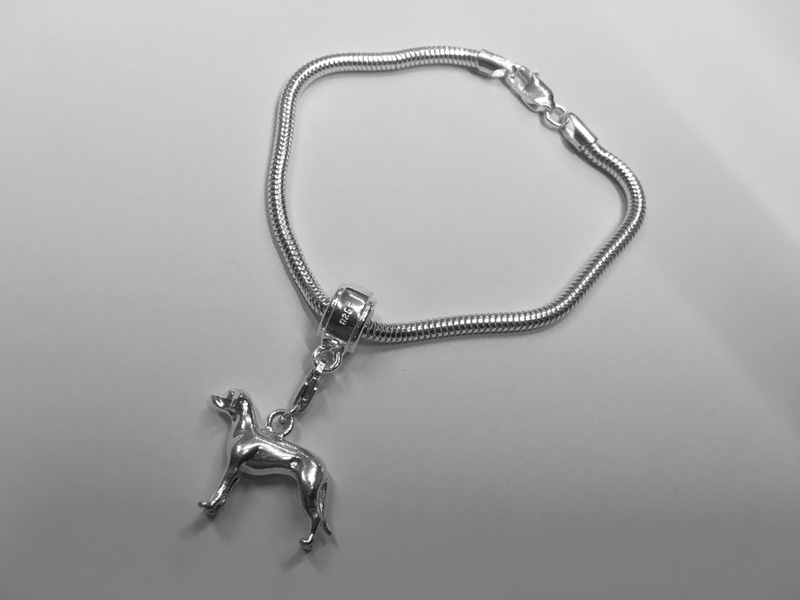 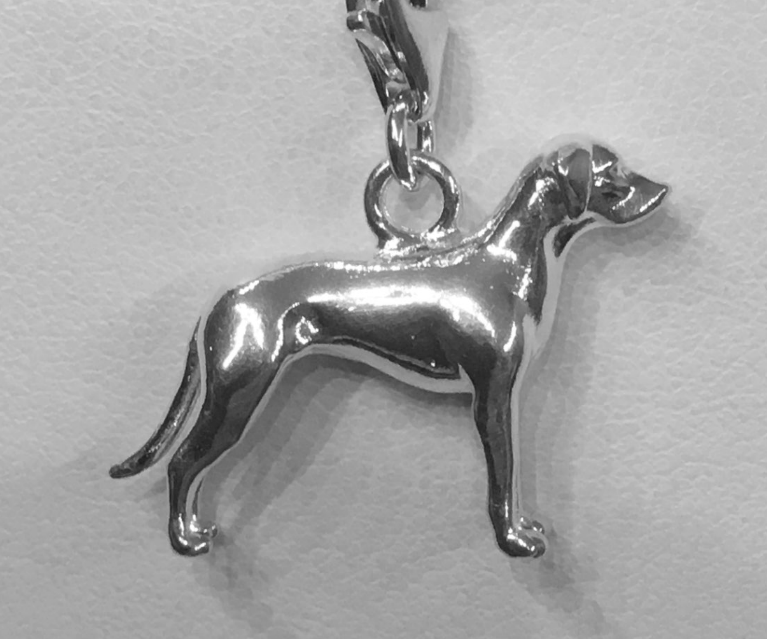 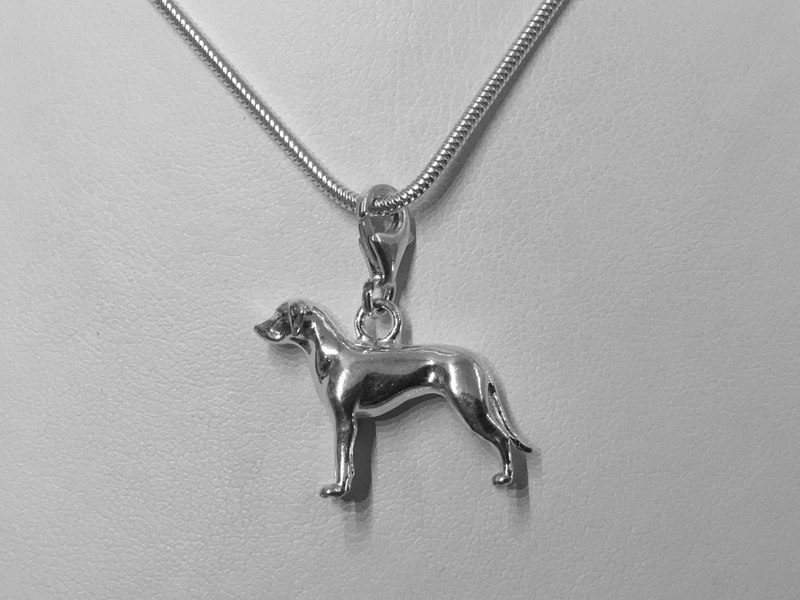 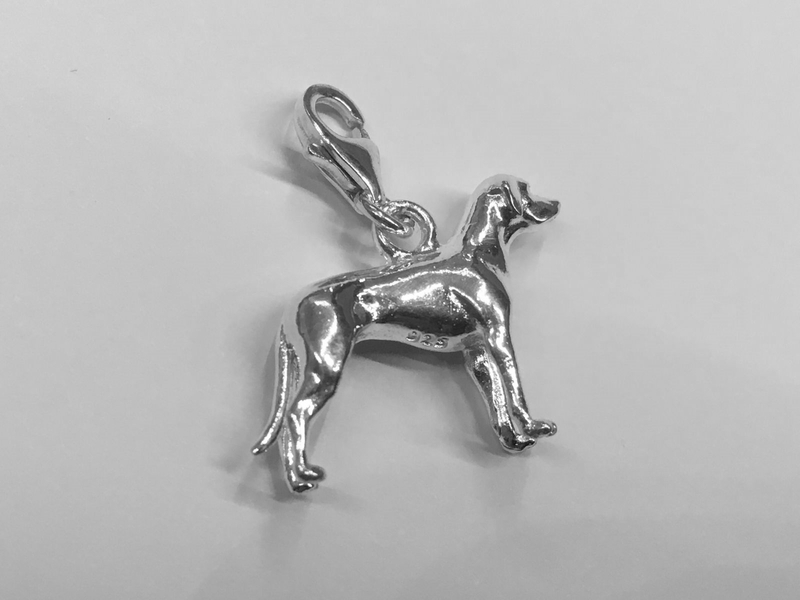 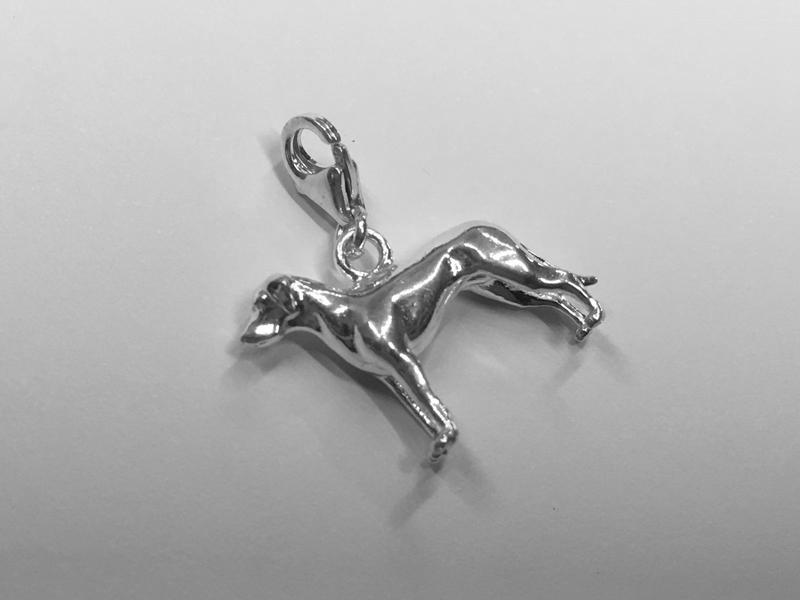 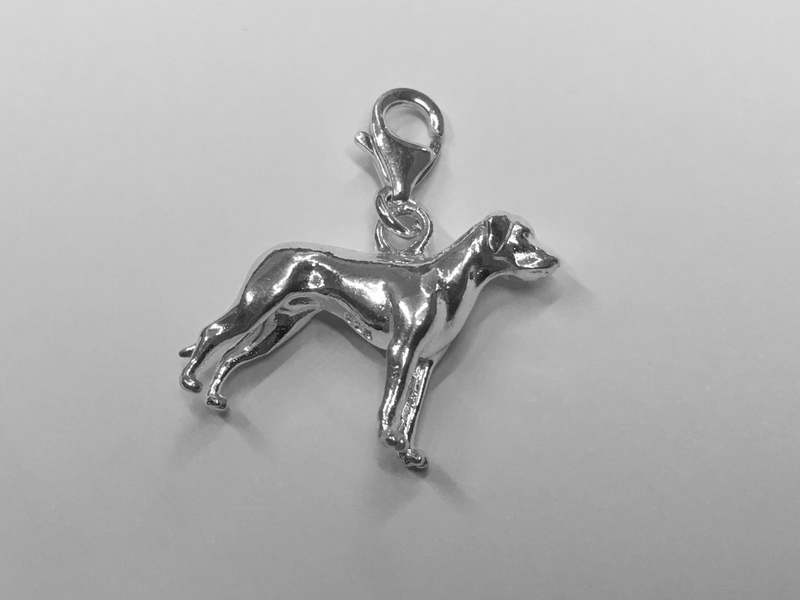 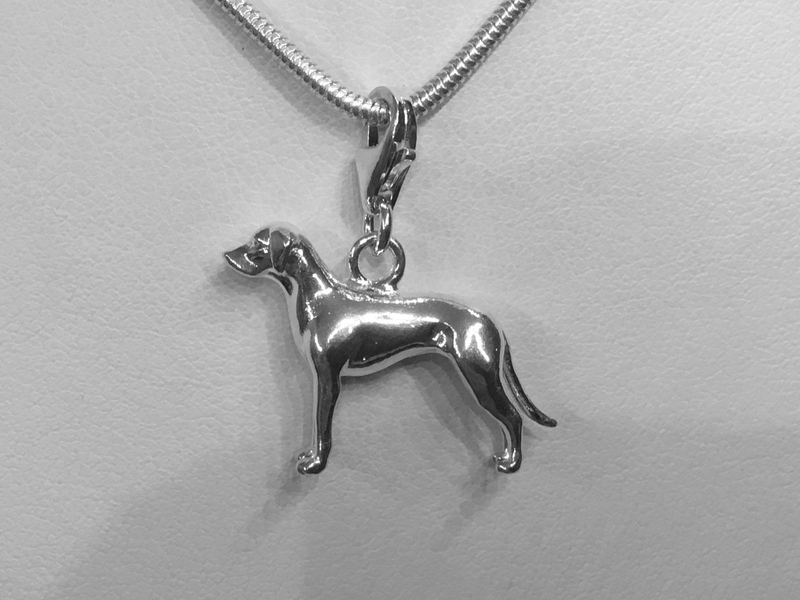 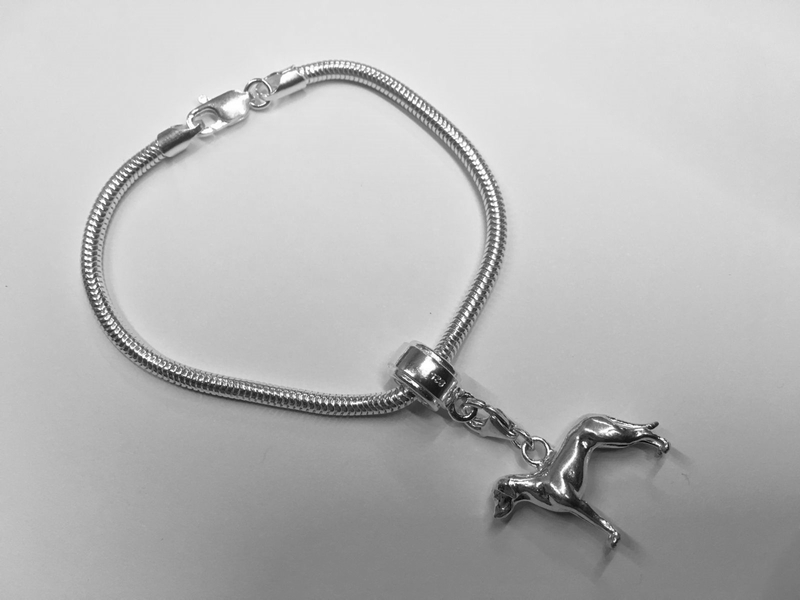 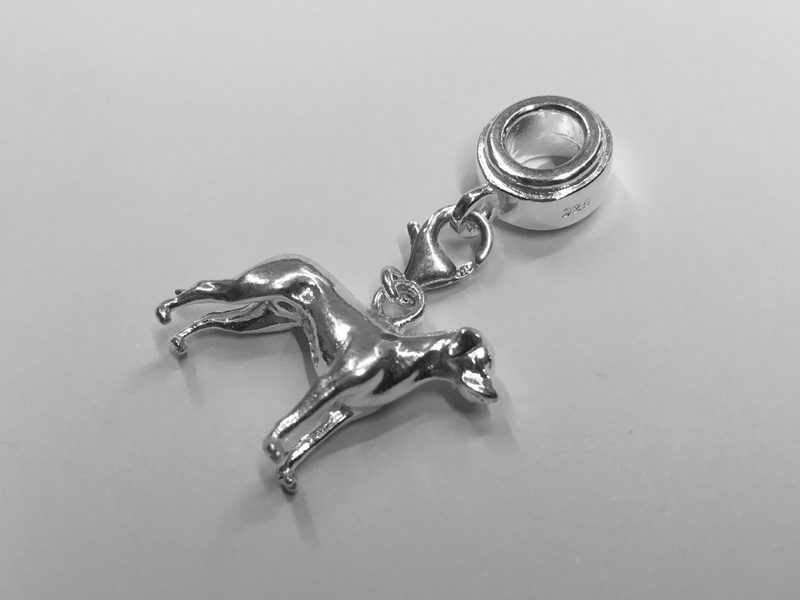 Our Weimaraner charm is one of the most majestic looking breeds we make. 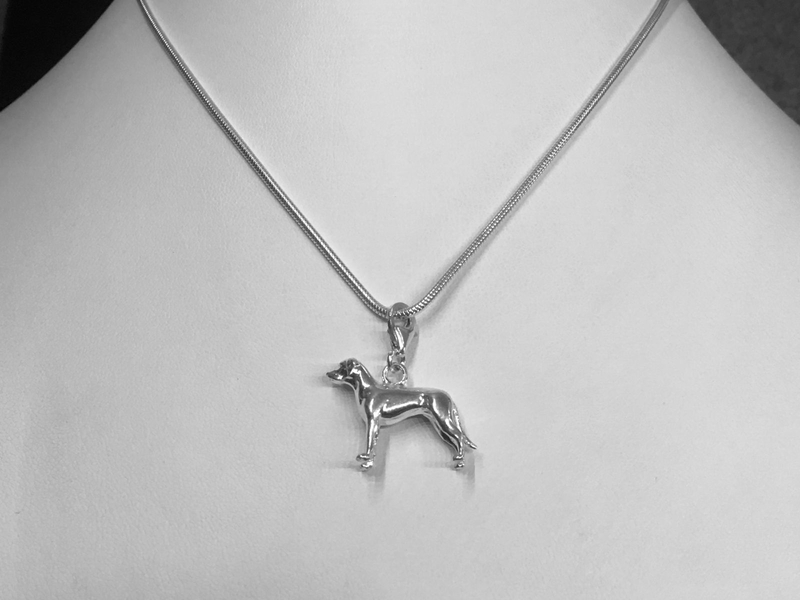 Weimaraners were used by royalty for hunting larger game such as Deer , Boar and Bear. 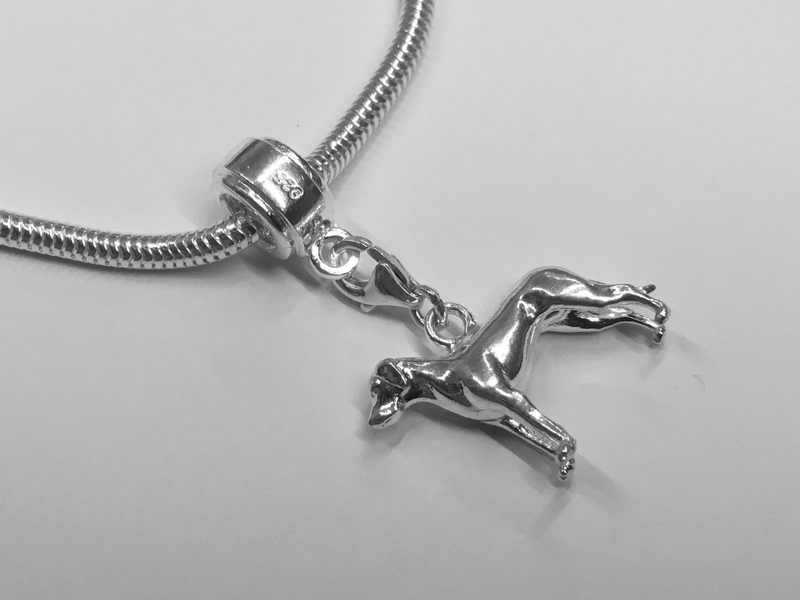 jewellers and silversmiths from ethically sourced Sterling siver. 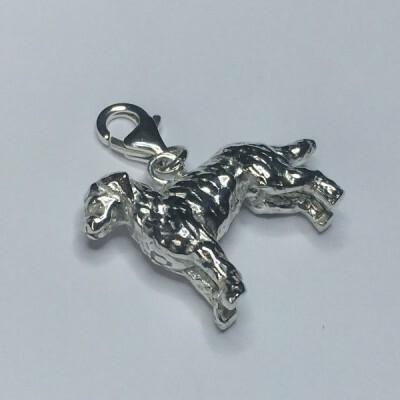 just as a charm or on a necklace or bracelet.